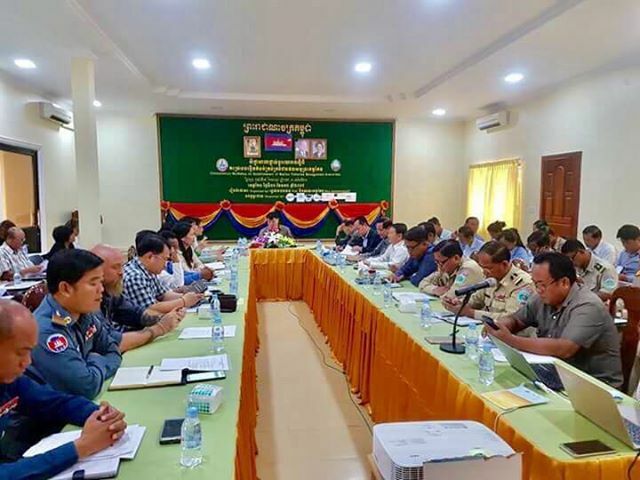 Feb. 5, 2018 — On January 31st, the Kep Provincial government of Cambodia conducted the final meeting in an approval process for the creation of an 11,000-hectare Marine Fisheries Management Area under the Department of Fisheries Conservation. This now allows the Minister of Forestry, Fisheries, and Agriculture to formally recognize this area, a huge step forward in protecting the Kep Archipelago and surrounding waters. ICFC and Paul Ferber, the director of Marine Conservation Cambodia, thank Ouk Vibol, the Director of the Fisheries Conservation Department, and Ken Satha, the governor of Kep province!